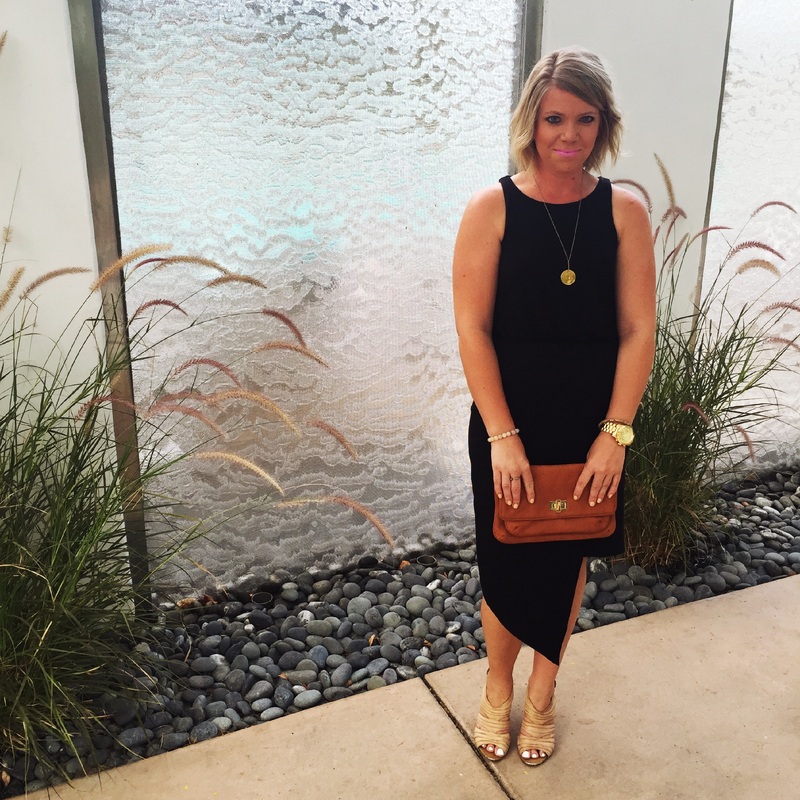 I wore this LBD to dinner at one of our FAVE Palm Springs spots, Birba, last week. I found the dress randomly at Nordstrom Rack and had to have it! It is so soft and comfy! My neighbor has some serious door game! 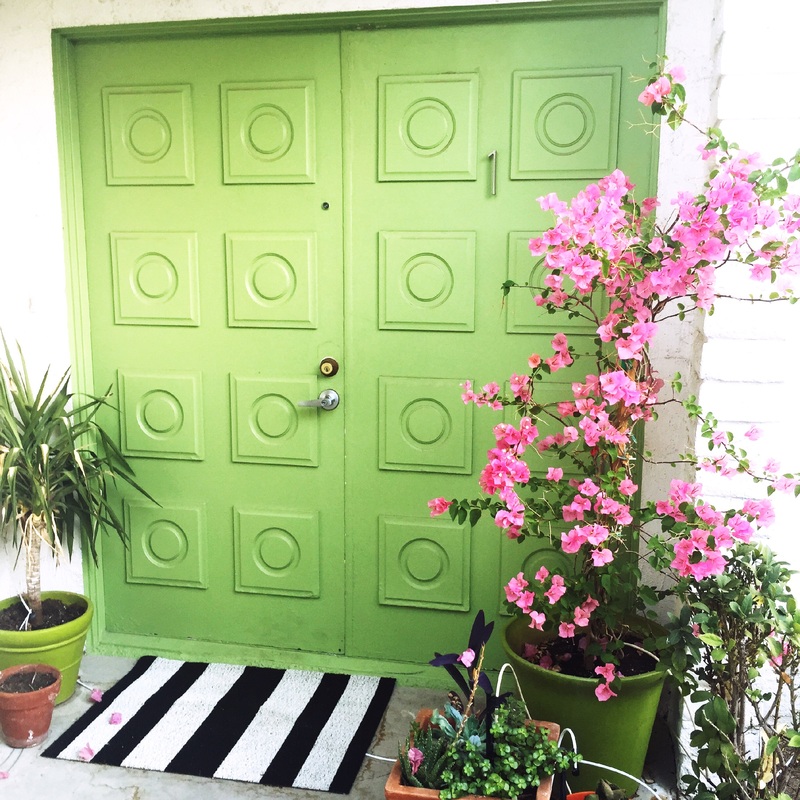 I have a few favorite welcome mats for you to shop HERE, HERE, HERE, and HERE. Palm Springs has no shortage of fun bars and fabulous craft cocktails. Bootlegger Tiki is high on my list of “Must Trys” for any visitor. 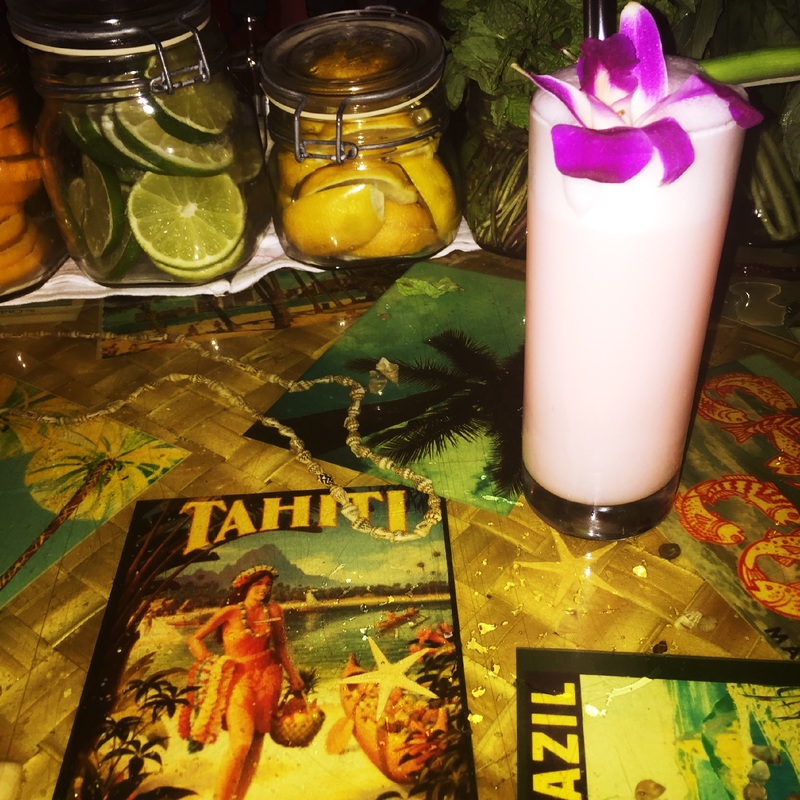 Be sure to try the Moorea Fizz (above) or the Pod Thai…swoon! Another great way to enjoy a Palm Springs cocktail? Poolside! 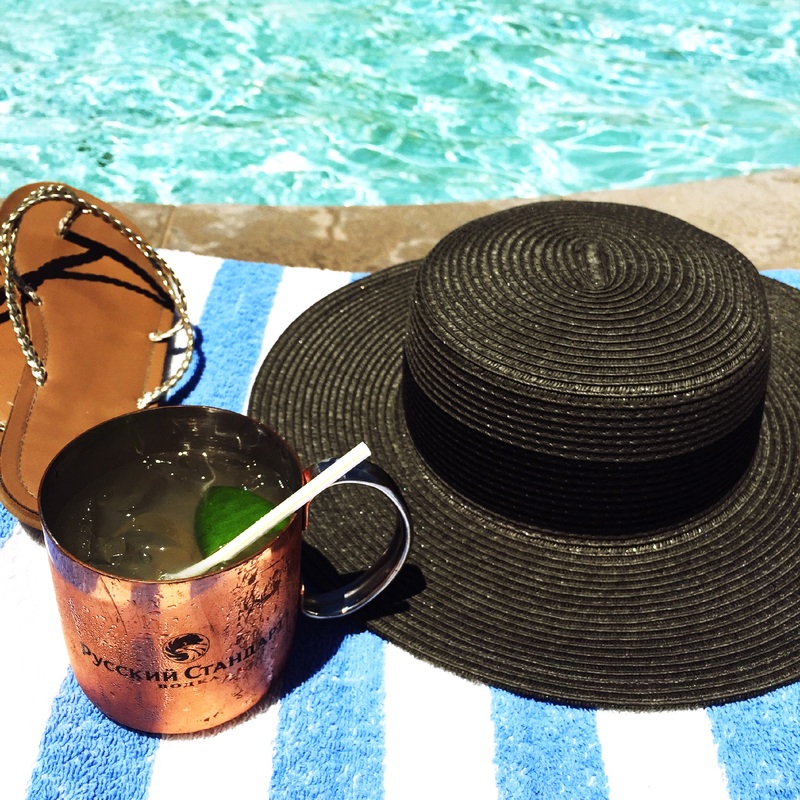 I do love a great Moscow Mule in the Summer…. 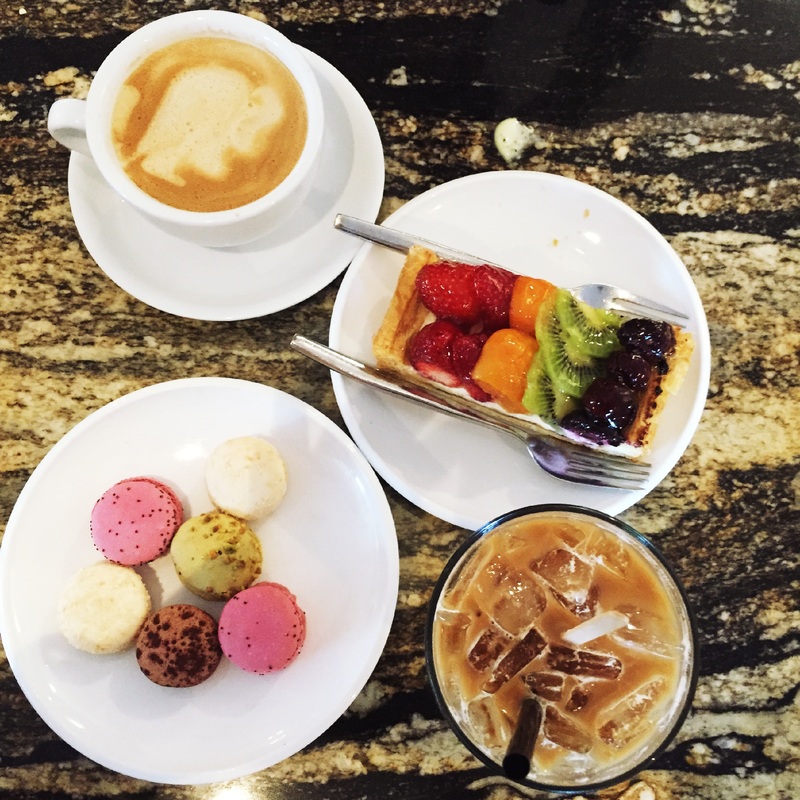 Lattes and Macarons are a staple in my life. These are from an adorable French Cafe in Palm Desert, Clementine. Rosé all day! 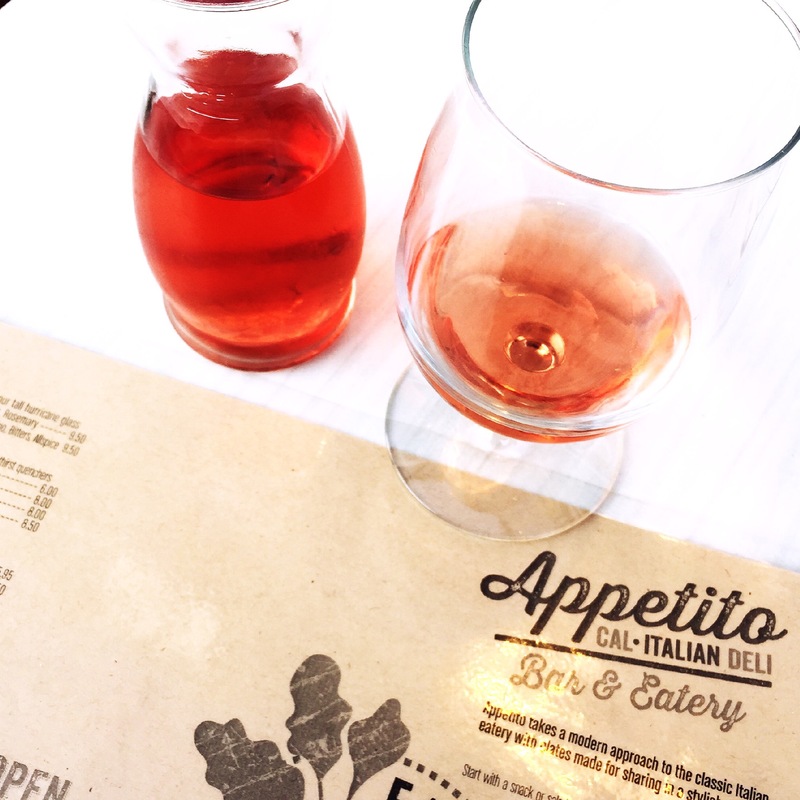 Check out Appetito Cal-Italian Deli for the most amazing shrimp arancini and ricotta gnocchi. I have an obsession with Havaiana flip flops. I first discovered them over 10 years ago living in Huntington Beach. I literally have 1 pair that I bought in 2005! This pair is my newest obsession in purple/hot pink. I also love THESE, THESE, THESE, and THESE. 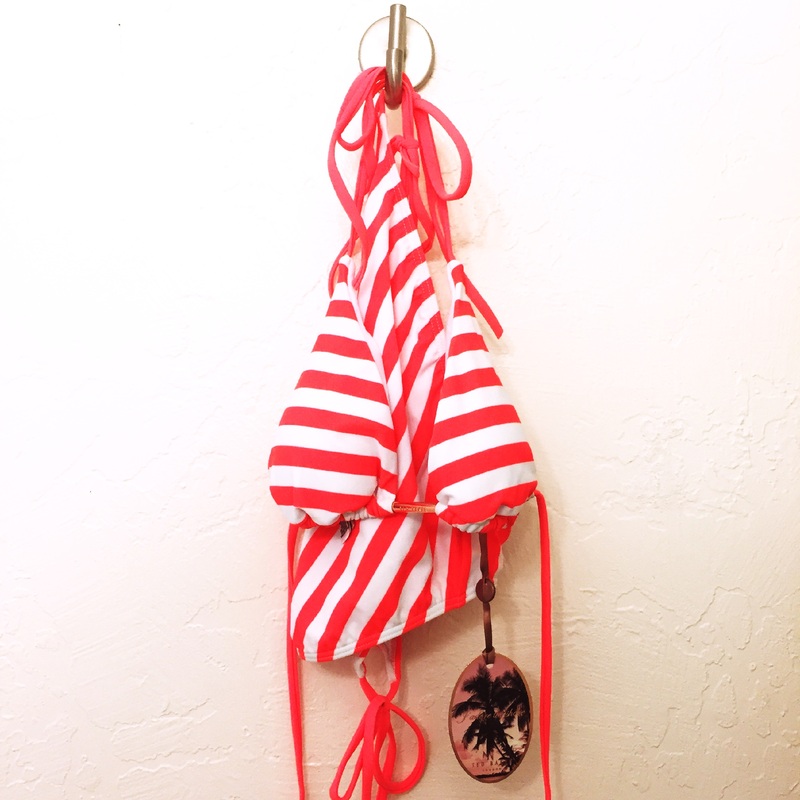 Stripped Bikini for the win! This one was found on sale at Ted Baker for under $25 (seriously). Check out THIS ONE that I love just as much! 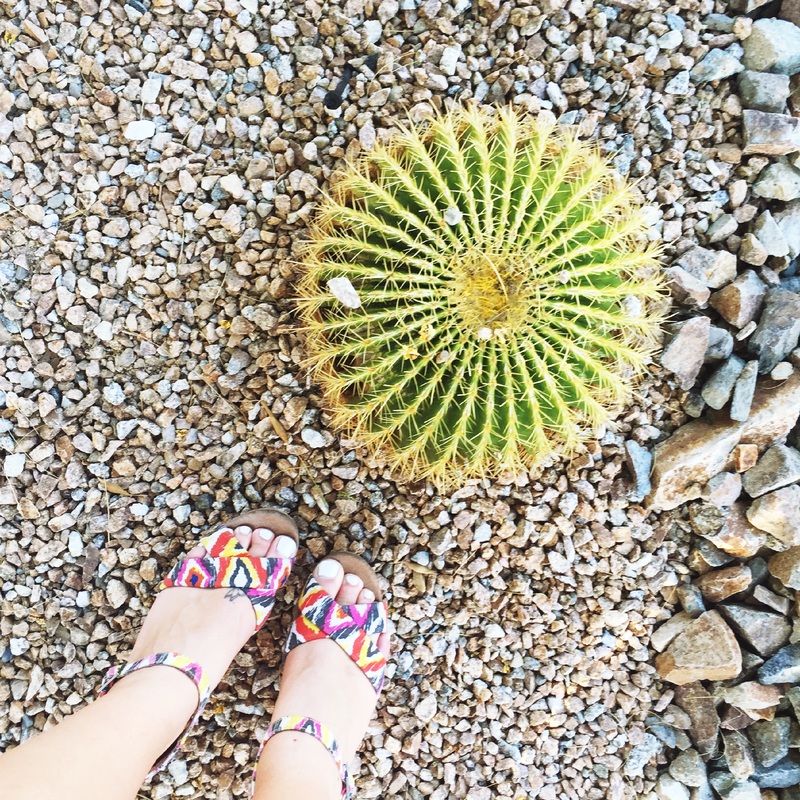 These Toms wedges are already on their 3rd Summer but I am still getting questions about where I found them! I purchased mine at a local board shop in Lake Arrowhead, LeRoy’s. The style is still available and check out this fun Black and White version!